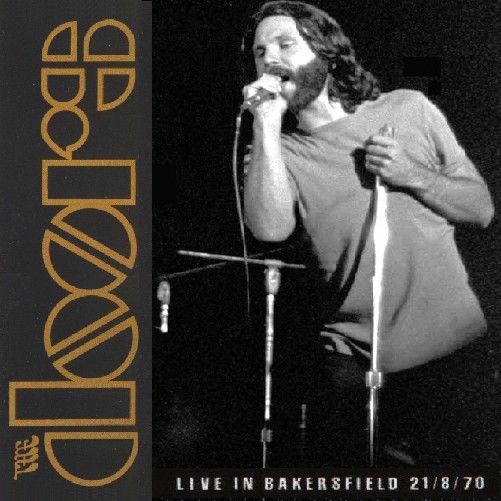 Jamming today in the ‘rock room’ is an intimate on stage recording of the Doors at the 3,000 seat Bakersfield Civic Auditorium on August 21, 1970. 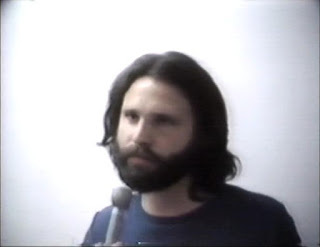 Following the band’s legendary spring 1970 tour, which resulted in the seminal live recording Absolutely Live, this concert finds the band in the midst of Jim Morrison’s trial for indecent exposure charges stemming from the notorious March 1969 Miami concert but continuing the momentum gained from earlier in the year. The Bakersfield concert is one of three August shows placed among the scattered court dates scheduled for Morrison throughout the month. Each show offers something for the interested Doors fan. The days preceding Bakersfield (August 17-20) were spent in the court room for Morrison, followed by the aforementioned concert, then an extended performance the next night in San Diego, before leaving for England and an appearance at the 1970 Isle of Wight festival. 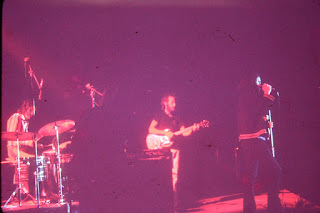 The Doors would only perform a handful of times following the Bakersfield show, highlighting the historical importance of the concert and placing it in the correct context. The Bakersfield concert was documented by Doors road manager Vince Treanor using a Sony stereo recorder in which he also recorded the Seattle June 5, 1970 concert as well as the June 6th Vancouver concert (which has since seen an official release). All of these aforementioned recordings feature an airy organic sound with all instruments exhibiting perfect separation, minimal distortion and sonic clarity. The circulating recording spotlights most... but not all of the concert. Reportedly what commonly appears in collections is the first two reels of the concert, with a third non circulating reel containing readings of “Love Me Two Times’, ‘Light My Fire’ and ‘The End’. In 2000, the Bright Midnight Sampler was released by the Doors as a compilation of surprises contained within the Doors musical vaults. Highlighted on the set was a ‘Love Me Two Times/Baby Please Don’t Go/St. James Infirmary/Love Me Two Times medley from the Bakersfield concert which was not included in the already circulating material. I suppose it is only a matter of time until this concert gets the ‘official’ treatment one can hope. There may be some sort of hold up as it’s been quite a while since the appearance of the ‘Love Me Two Times’ medley. The concert holds up well when looked at in context to the surrounding performances and it sounds great. In the 'rock room's humble opinion, the concert surpasses the Isle of Wight performance to come the following week. The concert features a focused but sometimes weary Morrison. He is present and attentive, but his voice sometimes exhibits the obvious stresses of his court appearances and his abuses. The Doors are tight and on point as the recording exhibits each band member contributing both unique details and specialized interactions resulting in stellar jamming throughout the show. Krieger is epically steamy with reptilian soloing slithering over every track. The tape cuts in with an already in progress ‘Roadhouse Blues’ the saunters along at a leisurely left coast pace. The band is clearly in no hurry and Morrison’s voice takes a little bit to get goin, but the end result is an enjoyable opening introduction to the evening, but in no way a blow out. The usual medley for the era combining ‘Alabama Song/Back Door Man/Five to One’ follows and is played well but with Morrison slightly lacking his usual vocal fire. He makes up for this when the band vamps into the grey area contained prior to the segue with ‘Five to One’. Morrison begins to recite verse from his poem ‘Old Stone Road’ over a groove that is still bolted to ‘Back Door Man’s' hinges. The band sneaks around with their collars popped up around their cheeks trying not to be identified. The groove is natural and effortlessly cool. Morrison, perfectly buzzed, acts the blues man directing the band through the unique interlude and onto a musical two track path before returning to the stuffy city streets for a demonstration of ‘Five to One’. The first bit of magical smoke to rise from the trees thus far in the performance, the band is idling and Morrison is heating up with each song played. A personal favorite and concert highlight ‘Universal Mind’ is played next and in my opinion is the finest of the year. Morrison’s sly recital of the cosmic verses comes through the recording with perfect nuance. Extending over eight minutes the mid-song jam blooms into a waltzing mandala of sound. While Krieger stumbles slightly at the entrance to his solo, he soon gains purchase moving in perfect syncopation with the band, alternating between magnetic poles and conjuring a swelling jam. Densmore starts to rattle around the kit and soon presents a series of crashes that Manzarek uses as an entrance way to his solo segment. The band soon coagulates into the delicate melody line that signals the return the verses, skipping their way back to the song proper. Good stuff captured through the magic of magnetic tape. With barley a pause, Manzarek begins the opening figure to ‘When the Music’s Over’, which in typical 1970 fashion is a supernova of imagery, primal rhythms and in the case of this version aggressive Krieger guitar work. Morrison sings the usual verses including a diversion into the ‘Something wrong, something not quite right’ lyrical space. The first highlight comes when entering into Krieger’s first solo segment when Morrison extends the ‘until the end’ lyric in simpatico with Krieger’s silver feedback drone. Krieger then lifts off in a blur of dizzying guitar detonations and ground swelling drones of feedback. Also of note is the ‘What have they done to the earth?’ section where Densmore and Morrison work into a rhythmic relationship that adds a dollop of uniqueness to this particular rendition. Morrison is now hitting his stride vocally letting go with more than a couple of boiling rock screams. 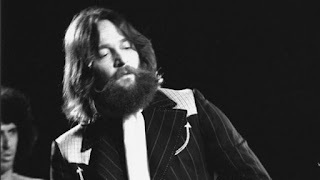 The ‘Mystery Train’ medley was a nightly occurrence during the 1970 performances, also including statements from “People Get Ready’ ‘Crossroads’ and the Morrison lyric ‘Away In India’. All of the performances during 1970 extended past ten minutes with ample room for soling by Krieger and Manzarek over Densmore’s locomotive grooves. After a thoughtful tune up, Morrison let’s loose with some slightly sharp train whistle reenactments during the song, but his enthusiasm soon ignites the group into waves of jamming that take the song past the fifteen mark. The freight gains momentum while on the downhill slope into ‘Crossroads’ and then corning into the melodic mystery of ‘Away In India’. Everybody gets on board for a powerful rendition of a nightly journey, another reason that this concert deserves a mass market release. The constant morphing of themes and melody’s illustrated here are a tribute to the Doors talent as musicians and composers. The performance soon builds to an explosive conclusion slowing into the station while Morrison grunts and growls the song into a sturdy stop. Morrison Hotel track ‘Ship of Fools’ follows and is the final song to be featured on the circulating recording. This song is also a highlight; with the song always sounding like the band really enjoys playing it. A quintessential Doors live cut. Roly poly keys and a rocky pounding drum arrangement, the band digs into it. Krieger balances on the plank, playing slippery neck work underneath Manzarek’s perfectly organized melodies. Manzarek’s solo segment becomes a breezy journey onto itself, pushed across the sea; Morrison is urged by this prospect and continues to sing enthusiastically. Krieger takes the wheel next and pours out a watery muted solo segment that also hits the right spot. Morrison then returns as the band stomps out the celebratory concluding verses and splash into a big ending. Thus the song concludes and so does the recording. It is at this spot that the officially released segment of ‘Love Me To Times’ would follow. Similarly to the earlier extended ‘Back Door Man’ here ‘Love Me Two Times’ dissolves into the hearty pleading of the blues standard ‘Baby Please Don’t Go’. 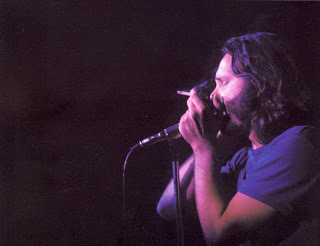 Krieger quotes the distinctive melody to which Morrison sings the accompanying verses. The band slides into the tune like an old pair of traveling shoes. The vamp continues to pulse under a Manzarek solo, but soon takes another detour into the verses of ‘St James Infirmary’ initiated my Morrison, leaving the original ‘Love Me Two Times’ in the rear view, until Morrison turns the car around in the middle of the highway and heads back to ‘Two Times’ pedal to the metal. Another musical highlight to be enjoyed in a show full of clandestine moments of note. While the majority of this fantastic 1970 Doors concert is available for those who seek, it is well deserving of an official release due to its sonic quality and strength of performance. It would be nice to hear the missing songs (hopefully in the Doors vaults) because if the rest of the concert is any indication, they are going to be top shelf versions. 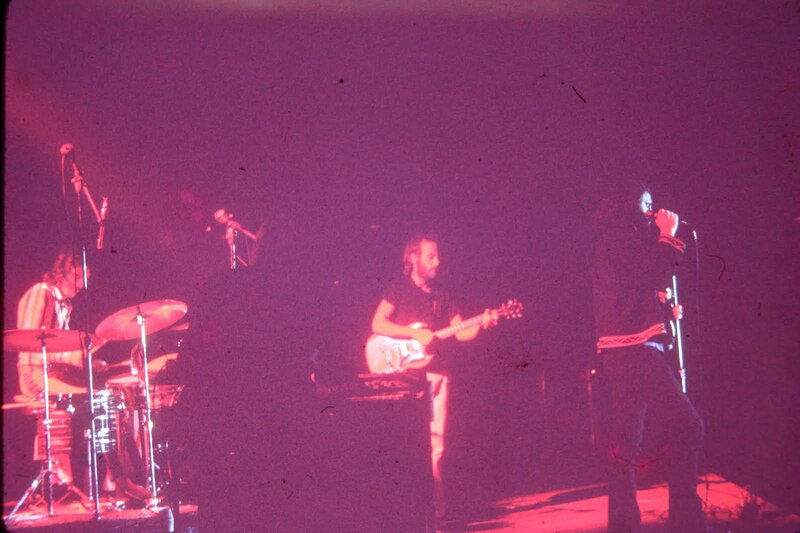 This 1970 concert is the beginning of the end of the Doors as a performing band with Jim Morrison. Thankfully, we are still able to enter and visit the‘Palace of Exile’ whenever we so desire through these precious documented pieces of tape.